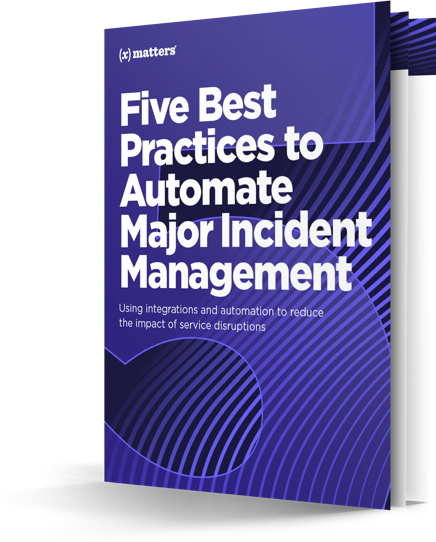 IT outages, security breaches, and other incidents can cripple employee productivity, taint customer perceptions, and result in lost revenue. You can set a goal of eliminating major IT incidents, but it’s not really achievable. They will happen, and your best strategy is to be prepared for them when they do. According to the Ponemon Institute, the average cost of downtime due to major IT incidents was $8,851 per minute in 2016. Do the math, and it comes to more than $500,000 per hour. With downtime averaging more than 90 minutes, you can see why quick response is so important.